Shareholders and Friends - Just a quick note to let you know what's been happening at Patriot Gold Corp this quarter. First, we've entered a new phase in the gold market. The bear market in mining stocks, which lasted more than five years, has turned. This has led to higher share prices for many of the juniors, including Patriot. As I write this, Patriot's share price is up significantly from its lows last year. Second, Patriot successfully negotiated a deal with Northern Vertex, its project partner on the Moss Mine, to consolidate ownership of the mine under Vertex. In return, Patriot received a 3% net smelter royalty and $1.5mm CDN in cash/shares. This was an important step towards commercial production at Moss. Vertex has projected the mine will produce nearly a quarter million ounces in the commercial phase (known as Phase 2 because Phase 1, the pilot project, has already occurred) of which Patriot will receive 3% of the production at no cost. At today's gold prices that would equate to roughly $9 million USD to Patriot. Once the mining of Phase 2 proceeds, there is a possibility the mine will expand to Phase 3, which may result in a similar level of production as Phase 2, but there is still substantial work that needs to be done before this decision is made by Vertex. There could also be a possibility of mine expansion beyond the patented ground and Phase 3, but this won't be known until substantial additional exploration is carried out. When we first acquired Moss back in 2004, it was a marginal deposit with perhaps 125,000 ounces but the potential to grow, we believed. With considerable drilling, we managed to expand the resource to roughly its present level and conduct important metallurgical work, and then invited Vertex to fund and operate the project to the point where a mining decision could be made. Vertex's pilot project and metallurgical work were successful, and their feasibility study demonstrated that commercial production could proceed. All this took more than a decade, many millions of dollars, and tens of thousands of man hours. The fruit of all this effort and expense is that Patriot now has a valuable royalty in a proven mine which is well positioned to enter commercial production, potentially providing a solid source of income to Patriot for many years to come. Third, we now have a 70% partner on our Bruner gold project, Canamex Resources. Up until a few months ago, Canamex was still in the process of earning-in to the project. They have now completed the required expenditures and are the majority owner, as per our original agreement with them. 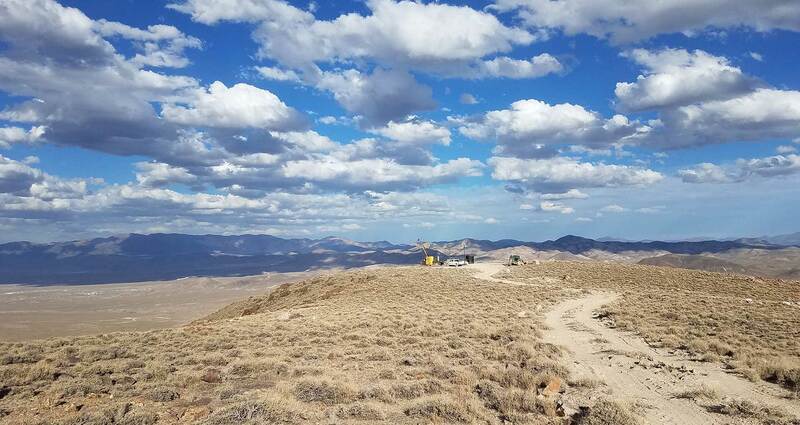 This is welcome news for both Canamex and Patriot, as it signifies the advancement of one of the most exciting gold discoveries in Nevada in recent years. Fourth, I have moved into the position of President and Bob Coale is now Chairman of the Board. We've swapped positions, so to speak. Bob's technical expertise, his metallurgical knowledge, and his years of experience have been invaluable in helping get Patriot to where it is today, and he will remain involved in helping oversee the technical details of our projects as we move them forward. Finally, I want to thank our shareholders for standing with us during the past decade plus. Many of you have been with us from the very beginning, and we're grateful for your support and encouragement. To those of you who are new shareholders, welcome. We hope to have a steady flow of positive news during 2016.